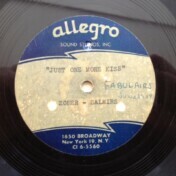 For a couple of years, circa 1958/’59, my father was second tenor in a vocal quartet called the Fabulaires. They sang a version of Doo Wop, but I think they aspired to sound more like the Platters and the Flamingos than Danny and the Juniors. My mother and father went to go see the show Jersey Boys recently. It was my mother’s second time. She insists I will like it. I insist that it is highly unlikely since I hate most musicals and Frankie Vallie’s music in particular, save for the song “You’re Just Too Good to Be True,” which I absolutely love. Allegro in New York was a famous place, apparently. Al Kooper, an illustrious and bona fide rock legend who happens to live here in Boston, told me it was a great studio located at 1650 Broadway (as seen on the label in the photo), which Al points out in his great autobiography, Backstage Passes and Backstabbing Bastards, is often confused the Brill Building located close by. 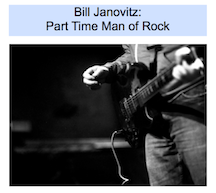 The former is more associated with the old guard, pre-rock & roll. The latter is where most rock & roll song hustlers worked, people like Gerry Goffin and Carol King, Ellie Greenwich, Kooper, even young Lou Reed. And Tommy James recorded many of his biggest hits there. 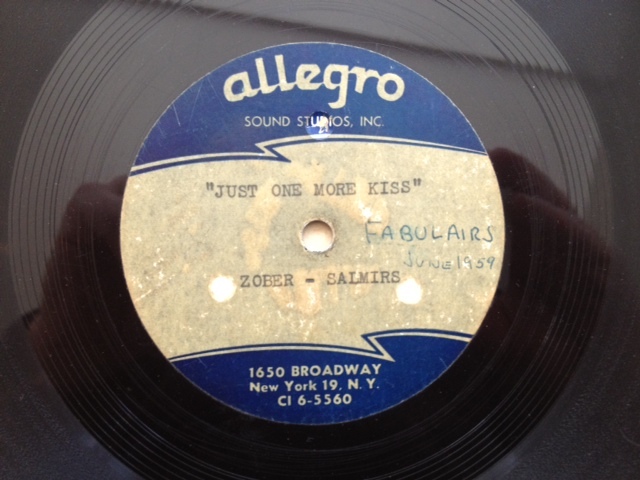 I recently digitized the 78 RPM demo the Fabulaires recorded in 1959, a bit of a Holy Grail in my family. It has always blown our minds that our father did this, as he and the rest of the guys went on to regular old suburban normalcy, college, the army, raising families and so on. And now it is blowing the minds of his grandchildren. My father and mother were casual music fans, really into the stuff they liked, but not real big record collectors. That all us boys (four of us, plus a sister) went into music to some degree, is more coincidental. It’s not like we grew up with parents who loved the Beatles, about whom my parents were largely agnostic. And they have no love at all for Dylan or the Stones. Tony Bennett? Nat King Cole? Elvis? Johnny Mathis? Carpenters? Okay. Pop is second highest harmony, I believe. The song was written by Wally Zober and Bert (Burt?) Salmirs. They wrote a song or two for Fabian and apparently managed him. Zober was also going to manage the Fabulaires boys. They met him out in Massapequa and signed a contract with him at some point. Zober and Salmirs might have had a label and the guys were going to do some recordings. Then Frank and Joe joined the Army Reserves and that was the end of it. The events leading up to meeting these guys, the details of the recording, and the dissolution of the group are cloudy, seemingly lost to the fog of history. I am trying to tease out the details. I will let you know what else I find out. You can also listen/download here.